There’s an adage in the car buying community that’s as true as it is simple: the best new cars make the best pre-owned cars. That’s why a pre-owned Mercedes-Benz vehicle is such a great option. And when it comes to pre-owned, Certified Pre-Owned Mercedes-Benz vehicles are the cream of the crop. A CPO Mercedes-Benz vehicle is as close as you can get to new without actually buying a new Mercedes-Benz vehicle. That’s because to earn the CPO distinction, a vehicle must pass a grueling 165-point inspection. Before a vehicle is even eligible for that inspection, it has to pass certain criteria. It can’t be more than 6 model years old, or have more than 75,000 miles on the odometer. Additionally, the CARFAX vehicle history report must be clean, and all proper services must have been performed in accordance with the maintenance schedule. So right off the bat, you know only the best of the best are up for consideration. From there, the inspection begins. The car must have Mercedes-Benz factory windows—no replacements allowed—Mercedes-Benz approved tires, and more than 50% life on the brake pads and rotors. Vehicle structure, interior, exterior—all of it is looked over for functionality and aesthetics. CPO Mercedes-Benz vehicles don’t just drive like new, they look like new. 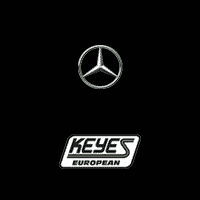 Each one is covered by any remaining portion of the Mercedes-Benz four-year/50,000 mile New Vehicle Limited Warranty, after which a CPO Limited Warranty provides comprehensive coverage for another 12 months with unlimited miles. Add in 24-hour Roadside Assistance, nationwide dealer support, and a seven-day/500-mile Exchange Privilege, and you’re good to go. Start your search for the perfect CPO Mercedes-Benz with the 2018 Mercedes-Benz C-Class, which Edmunds praised as “More than just an entry-level luxury sedan, the [Mercedes-Benz] C-Class is attractive, well-built and classy.” And don’t forget to check out the other pre-owned Mercedes-Benz vehicle offers available now at our dealership near Beverly Hills, CA.